Purchase EuroJackpot Lottery online tickets and play for your share of one of this Euro lottery’s 12 prize divisions! Like other multi-national lotteries, EuroJackpot pumps up the excitement by drawing its strength from not one, but seventeen participating countries. Tax Requirement Tickets for this lottery are purchased in Germany. Lottery prizes are paid out tax-free. Check the tax laws in your country of residence for any further local taxation you may be subject to. The EuroJackpot was created in November 2011, when several European national lottery officials met in Amsterdam at a summit regarding the creation of a new European lottery. The lotto representatives agreed on a play format similar to the well-known EuroMillions lottery, and decided to hold a draw every Friday in Helsinki, Finland. After months of negotiations and preparations, the inaugural EuroJackpot draw took place on 23rd March 2012. EuroJackpot awarded a record-breaking prize of €61.2 million, over half its jackpot cap, in September 2014 in an unforgettable Euro lottery draw. In May 2015 EuroJackpot broke all its own records and caused a huge buying frenzy when it kept rolling over to reach the self-imposed cap. In the end EuroJackpot awarded a top prize worth €90 million to a player from the Czech Republic, one of the latest countries to join the fold. To enter to win the EuroJackpot exciting first place prize, players select five numbers from a guess range of 1-50 as well as two additional numbers from a separate guess range of 1-10. The additional numbers allow lottery players to win supplementary prizes, and are essential to complete the jackpot winning number selection. Euro lottery EuroJackpot players can choose to enter the lottery with forms of 3, 4, or 5 lines. If you like EuroJackpot, you may wish to check out lottery results on the EuroMillions lotto as well. There are 12 prize categories, and to win the EuroJackpot lottery’s first prize, players must correctly guess 5 regular numbers and both additional numbers. The EuroJackpot’s main prize starts at €10 million and keeps rolling over until hitting its jackpot cap of €90 million. As with EuroMillions, prizes are tax-free, which allows EuroJackpot to compete with the world’s biggest lotteries. The odds for winning a Euro lottery EuroJackpot prize start at an impressive 1:42, and the chances of winning the jackpot are reasonable compared to similar lotteries. New and Growing – The EuroJackpot’s prizes are not the only things that are expanding. Discussions are on-going regarding the addition of new countries and the possibility of holding EuroJackpot draws twice every week. And Then There Were 16 – Back in February 2013, the existing EuroJackpot countries (Denmark, Estonia, Finland, Germany, Italy, The Netherlands, Slovenia and Spain), welcomed six newcomers. Croatia, Latvia, Lithuania, Iceland, Norway, and Sweden joined the young European lotto to make a total of fourteen participating countries. And in October 2014 an extra two new countries – Czech Republic and Hungary – were added! Finally, in October 2015, Slovakia joined the list. 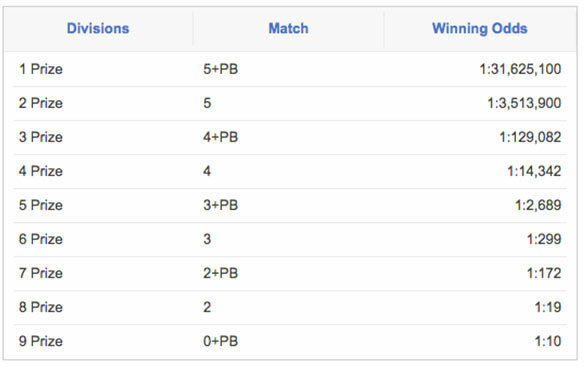 With more countries come bigger prize pools for EuroJackpot players. Of the top five of highest EuroJackpots in history, a massive three jackpots were won since December 2014!